This blog has been blessed and dedicated totally to devotees who wish to share their experiences with other fellow devotes. It has always been a pleasure for me to put forward the experiences. In fact its a proud for me to be a medium and feelings of being connected gathers me all the time while working here. It is always glad to know that devotee readers have liked it and many thanks to Sai Baba for this. Many a times while reading and posting experiences i was left over with wet eyes and realise the power of this Supreme One again and again which has tied all of us together. Today i would like to share my family's experience with you all. Before going further my heartiest New Year wishes to all fellow devotees and Sai family. Let's all pray together to Sai Baba to give us happiness and peace of mind all the year ahead and make us strong enough to face calamities and bad conditions which are an important constituents of our lives to be able to realise the importance of happiness and strong presence of Baba. Sai Baba's plannings are always ahead of our intellect thinking, but when they take shape we realise the purpose behind them. Baba has his own peculiar way to make us understand that he is always with us, but in times of calamity He is ahead of us to make situation easier for us to bear. No doubt Baba is present to take care of us in every fraction of second of our life, but when a child is suffering from bad health, he needs special care and affection. My mother and whole of our family realised this. Merely knowing things and realising them, are two different facts. Many times we come across devotees saying that Udi cured their disease and made them hale and hearty. Here is one more instance as an addition to it. My grandparents, maternal uncle and parents were traveling from Maharashtra to Gujarat last week. They had been there for some good cause and Baba accomplished all the work very easily which was not all expected being fully aware of happenings in future. When my parents were leaving our home, my mother prayed to Baba, "Take care of my kids, Baba". I just said, "Yes Baba will take care of us, but is He not going with you?" My mother replied in affirmative and they left. At that time we were not all aware that Baba had been with them in reality. After three days they all were returning home. Train was in evening and my parents were to reach our town (Baroda) early morning next day and my grandparents and uncle were to continue their journey till Jamnagar (in West Gujarat). At railway station my grandpa was feeling uneasy and his hands were shaking. My mother noticed this and she quickly alerted my grandma and uncle. They replied that it was usual for his hands to shake. My grandpa is of 85 years of age, but this has never been an obstacle to him and he just goes on and on. At this age he works for about 6 hours and is always active to do any kind of work. More than everything, he does not suffer from any severe health problems. But that day he was sounding low and did not like to talk which was otherwise with him normally. Though my mother was told that everything is normal, her mind was not ready to accept it. She could sound something unusual with her father. They boarded train and after 10 minutes the train started, my grandpa's health deteriorated badly. His legs stopped working, he was not able to speak and was suffocating. He could not explain what was happening to him. More worse, he was not able to understand what others said to him. Since they were traveling there was no question of immediate treatment. My mother had Udi with her and she applied it to his legs and chest and administered some of it to him. Even when they were waiting for train, she applied Udi to his hands and then immediately shaking of hands stopped. One option open to them was to get down at any unknown station and rush for treatment. This could not also be materialized because it was a fast train and stoppage frequency was less and train did not stop for more than 5 minutes. In this situation, it was not at all possible to alight. Even then it was decided to quickly get down a train, but before they could make it, train started. My parents then went in search of ticket collector who might help in some way, in train itself, but could not find him anywhere. All the options which were expected, were just turning their way back. On the other hand, my grandpa was down with dysentery suddenly. He was given medicine, but only half of it went inside as he could not open his mouth properly. This made situation go worse. He was not able to walk and his mind was not responding in anyway that he can move forward on his own at least one step. 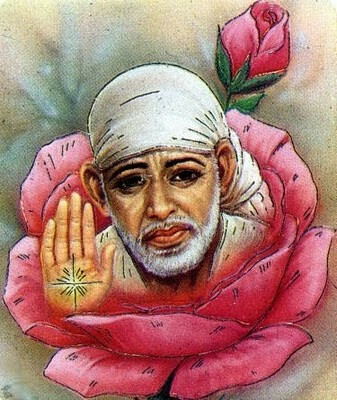 My mother was continuously doing Naam Jap of Sai Baba and praying to Him to cast His merciful eye. The whole night passed in utter anxiety and worry. In the morning, as per schedule and plan, my parents were to get down at Baroda, but my uncle requested them to accompany him when my grandpa showed his desire to go to home and not to get treatment in Baroda. Twelve hours passed without any treatment and deteriorated health, now again twelve hours were ahead. I was informed about this on phone early morning and i was tensed to know about all this, but i had firm faith in Baba that He will take care. I started praying Baba mentally and also requested other devotees to pray by circulating a mail in various groups of Sai Baba. Now at about 9 am my grandpa moved three-four steps without anyone's support. His purging had stopped and was looking better. He was able to speak also, but had gone weaker due to purgings. He was given electral powder (a medicine given by dissolving in water to give instant energy). In the evening they reached their destination. My grandpa himself open the gate and entered into house without anyone's aid. Moreover he could himself explain to doctor what all had happened to him. Medicines and other energy syrups were advised by doctor. It was a miracle, indeed Baba's miracle and grace. Exactly before 24 hours, no one was expecting this situation, but Baba did take fullest care. I thank Baba to be with us and take our care in the time of calamity and also thank all those who had prayed for my grandpa. Now he has fully recovered and is back to his work from this New Year Day bidding good bye to his sufferings and bad health with the last year.